Wanda Jean Thompson, 91, of Mt. Carmel, Illinois passed away Friday, November 23, 2018, at Deaconess Midtown Hospital in Evansville, Indiana. She was born May 23, 1927, the daughter of Fred and Stella (Vincent) Robinson in Wabash County, Illinois. Wanda graduated from Mt. Carmel High School in 1944. On October 1, 1947, she married Herman Ray Thompson at the Adams Corner Parsonage. He preceded her in death on April 5, 2013, after 65 years of marriage. When Wanda was growing up she was a member of the Evangelical United Methodist Church in Patton, Illinois where she served as pianist. Her church membership is now at Evangelical United Methodist Church in Mt. Carmel. 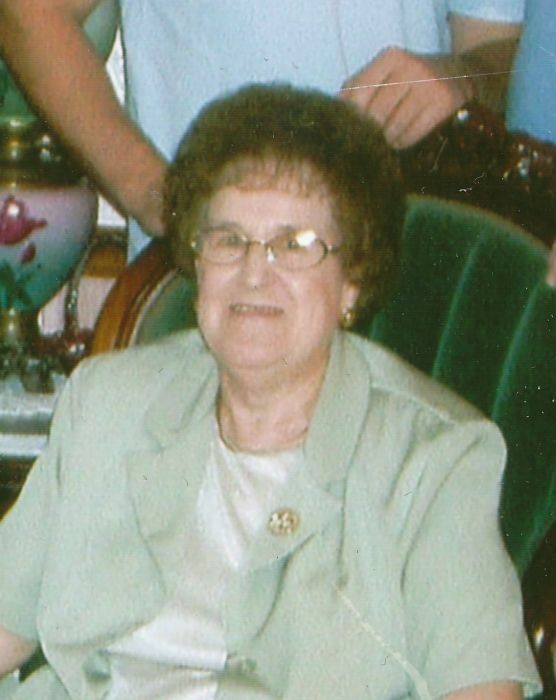 During her life Wanda was secretary to the judge in Wabash County, worked in Sterile Processing at Wabash General Hospital and was a seamstress at the Mt. Carmel Garment Factory. She loved camping, traveling and shopping. Left to treasure her memory are a daughter, Pamela Nolting and her husband Bill of New Albany; two grandchildren, Ryan Nolting and Matthew (Rachel) Nolting; four great-grandchildren, Michael Riley, Isacc Nolting, Alex Nolting and Anna Nolting, and one on the way. Wanda is preceded in death by her parents; husband; one son, Fredrick Michael Thompson; and siblings, Floyd Robinson, Freada Moore, Byard Robinson, Imogene Robinson and Wilbur Robinson. Visitation will be Thursday, November 29, 2018, from 4:30 until 8:00 p.m. in the Chapel of Short Funeral Home, 527 N. Mulberry Street, Mt. Carmel, Illinois. Friday, November 30, 2018, from 1:00 until 2:00 p.m. there will be a visitation prior to the funeral service beginning at 2:00 p.m. at the Wabash Presbyterian Church in Orio with burial in Orio Cemetery immediately following. Short-Cunningham Funeral Home is honored to serve Wanda’s family.